Creating a retirement plan may seem overwhelming if you have never done it. But it doesn’t have to be. This guide will give you a top-level overview and show you how to create a retirement plan. In this guide, we will cover different types of tax advantaged retirement accounts, such as your employer sponsored 401k plan, or a Roth or Traditional IRA. We will also touch on some small business plans, where to open accounts, how to get started investing, and how to stay on track. If you have an employer-sponsored plan, then starting a retirement plan will be fairly easy. If you don’t, you’ll have to consider other options to create a retirement plan. Fortunately, there are plenty of options, and all you have to do is choose one and move forward with it. This seems so basic, and it is, but it’s also the most important single step. You have to begin sometime, and now is that time. This is critical because one of the most important benefits of retirement savings in the time value of money. That means that the longer you have a retirement plan in place, the more time that it has to grow and accumulate investment earnings. The earliest start is the best, and that’s right now. Even if you don’t feel that there is enough room in your budget to save for retirement, you should still carve out a small amount – maybe $50 per pay period – and have it payroll deducted into a retirement plan. Since the contribution is most likely tax-deductible, your out-of-pocket amount will be even smaller. The other benefit of payroll deductions is they are automatic. You don’t have to think about investing, it simply happens each month without fail. Though you may begin with small periodic contributions, you can increase the amount as time goes on. For example, if you start at $50 per pay period, you might increase it to $100 once you get your next pay raise. Choose a Retirement Plan Type – Employer Sponsored, IRA, etc. In some ways, choosing a retirement plan is the easiest step since there are so many options. One might even be available with your employer right now. If your employer offers one of these plans you should take advantage and join. You can have your contributions payroll deducted so you won’t even know it’s happening. If your employer provides a contribution match – which is typically 50% of the first 6% of pay that you contribute – then you should contribute enough to maximize that match. After all, it’s virtually free money! You can contribute up to $18,000 per year ($24,000 if you’re 50 or older) for 2017. This is a solid choice if you are not covered by an employer plan. However you can still make a contribution even if you are covered by an employer plan, but there are income limits beyond which the IRA contribution will not be tax deductible (though you can still make a nondeductible contribution). You can contribute up to $5,500 (or $6,500 if you’re 50 or older) for 2017, then invest the money in just about anything you like through a self-directed IRA with a brokerage account. The Roth IRA is similar to a traditional IRA, except that your contributions to the plan are not tax-deductible. However, once you reach age 59 1/2 and have been in the plan for at least five years, your withdrawals will be tax-free. Contribution amounts are the same as they are for a traditional IRA. You can make contributions to a Roth IRA even though you are covered by an employer plan. However, there is an income limit beyond which you cannot make a Roth IRA contribution under any circumstances. SIMPLE IRA. A SIMPLE IRA gives a self-employed person all the benefits of a traditional IRA – simplicity being one advantage – but also the ability to offer the plan to his or her employees, if any. The contribution limits are more generous too, in that you can contribute up to $12,500 per year (or up to $15,500 if you’re 50 or older) for 2017. You can generally also make a 3% employer contribution to the plan if you’re self-employed. SEP IRA. That’s a moniker for Simplified Employee Pension Plan and it’s a plan that provides very generous contribution limits. Under the plan, you can can contribute the lesser of 25% of your compensation, or $54,000 ($60,000 if you’re 50 or older). Solo 401(k). This is one of the most generous retirement plans available, and probably the most complicated, which is why I saved it for last. Solo 401(k) plans are just what the name implies, a 401(k) plan for one person only. If you have employees, you won’t be able to do this one, unless the employees also participate, but it would then be a conventional employer 401(k) plan. The plan has perhaps the most liberal contribution limits, largely because there are two that you can make. As a self-employed person, you are both employer and employee, if that makes any sense. As an employee you can contribute up to $18,000 per year to the plan ($24,000 if you’re 50 or older) for 2017, and you can literally contribute up to 100% of your income to do it. That’s huge, but it gets better. As “employer” you can contribute 25% of your of your compensation as defined by the plan (this is the part that’s complicated). This is referred to as employer non-elective contributions and it enables you to contribute up to $54,000 of income ($60,000 if you’re 50 or older). As an example, if your business earned $100,000, you could contribute $18,000 as an employee, plus 25% of the total income – $25,000 – for a total contribution of $43,000. A trustee is basically the investment broker that your retirement plan is held with. If you are participating in an employer-sponsored plan, you will have to use the trustee that your employer is using for the plan. But if you have a self-directed account, such as a traditional or Roth IRA, or any of the self-employed retirement plans, you can choose any trustee that you want. Fees. If you plan to actively trade securities in your account, then you will want to go with a very low cost discount broker with the lowest commissions. Professional investment management. If you want someone else to manage your investments for you, then you may want to consider using a “robo advisor” service, like Betterment or Wealthfront. They’ll handle everything for you. Broker assistance. If you’d like to do the actual investing yourself, but don’t feel entirely comfortable doing so, you may want to consider working with a firm that offers a large amount of trading tools and investor education, even if the commissions are a bit higher. Passive investing. If you want to put your money into mutual funds or exchange traded funds, you might consider holding your account through companies such as Fidelity Investments and Vanguard. They specialize in funds, and typically charge no commissions on their own funds. Do some research into the various investment options before settling on a trustee. But just keep in mind that if you find out you made a mistake, you can always change to a different trustee later on through a direct rollover. A retirement plan is probably the longest term asset account that you will own, since you will need it for virtually the rest of your life. That means that you will need to diversify your asset allocation so that the plan will prosper in different types of economic and investment environments. You should plan to include positions in stocks, real estate (through real estate investment trusts), bonds, and cash and cash equivalents (money markets, certificates of deposit, and short-term U.S. Treasury securities). It will take some discipline to stay invested in bonds and cash when stocks are going through a prolonged bull market. It will also be difficult to invest in stocks when the market is in a prolonged bear market. But you’ll need to invest in all types of assets in different types of markets, since we can never know exactly what will happen next. One of the easiest ways to make sure your investments are properly diversified is to use a free online tool like Personal Capital. This free online software makes it easy to aggregate all of your investments and see how they are balanced across all asset classes. 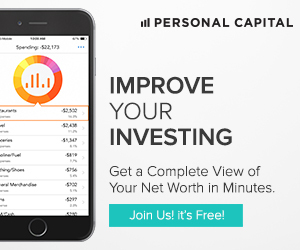 You can learn more or sign up for a free account on the Personal Capital website. Though your portfolio should be diversified among various asset types, the plan should favor growth assets overall. That includes primarily stocks, and funds that invest in stocks, as well as real estate investment trusts. Yes, these are more risky than bonds and cash, but they also provide a much higher rate of return over the long run. For example, as measured by the S&P 500, stocks have returned an average of about 10% per year since 1928. Bonds and cash equivalents and returned no better than half as much over the same timeframe. The higher returns that stocks provide will be absolutely necessary in order to offset the impact that inflation will have on your retirement plan over the next few decades. It should be self-evident that a retirement plan should be dedicated to providing for your retirement. However, it’s not at all uncommon for people use retirement savings for other purposes, such as making a down payment on a house, or using the funds to cover a period of unemployment. While the need to tap your retirement plan for such purposes can seem like the right thing to do, it also reduces the primary purpose of the plan. Some people will do this because they don’t have savings outside of their retirement plans, effectively turning the plan into a catchall savings. This can lead to inadequate savings by the time retirement does arrive. A better strategy is to develop other accounts to cover such events. For example, if you’re planning to buy a home in the next few years, you should start a savings account for that purpose. And you should always have an emergency savings account available to cover unexpected unemployment. That will save your retirement plan for its intended purpose. If you have been delaying starting a retirement plan, choose one of the plans above, and get started. The sooner that you do, the better the results will be.